Fantastic quality product from a trusted and well-known brand. Suggested Accessories: Kayak, extra tie down straps, knee brace, paddle leash. Size: Universally sized to fit many kayaks. The Go Sea Mounted Fishing Rod Holder with Ball Joint is versatile, very effective and simple to fit. Fixes in minutes to your kayak. 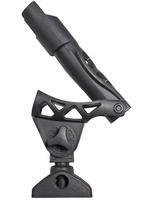 With a ball joint tilt and rotate facility to position the holder at any required angle. Your selected angle can be locked into position with the simple hand screw. Ideal for kayaks. The holder has 4 pre drilled fitting holes in the mount which can be used with self-tapping screws to fasten directly into the hull anywhere it suits you. Any size 6 or 8 self tapping screws (preferably stainless steel) will do the job. 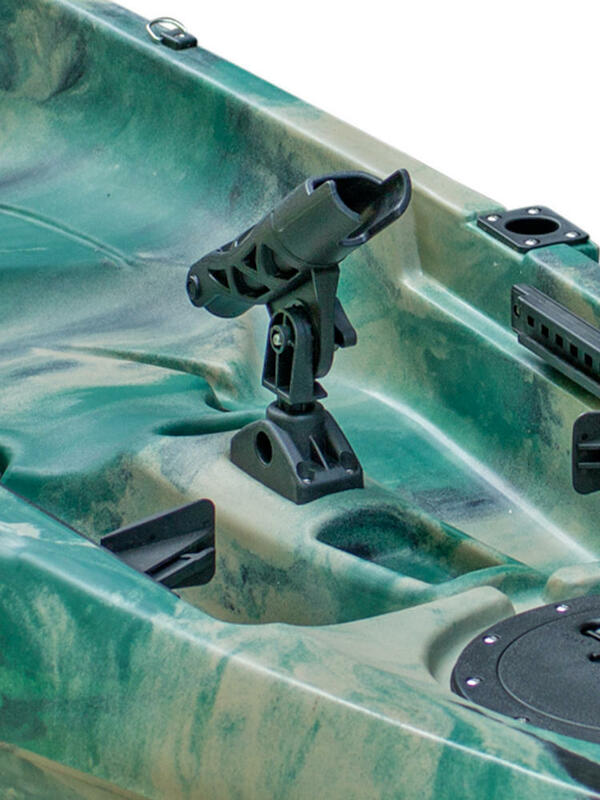 There is no need to drill large holes in your hull and this Mounted Fishing Rod Holder doesn't have the problem of a drain hole in the bottom where water can flow into your hull. 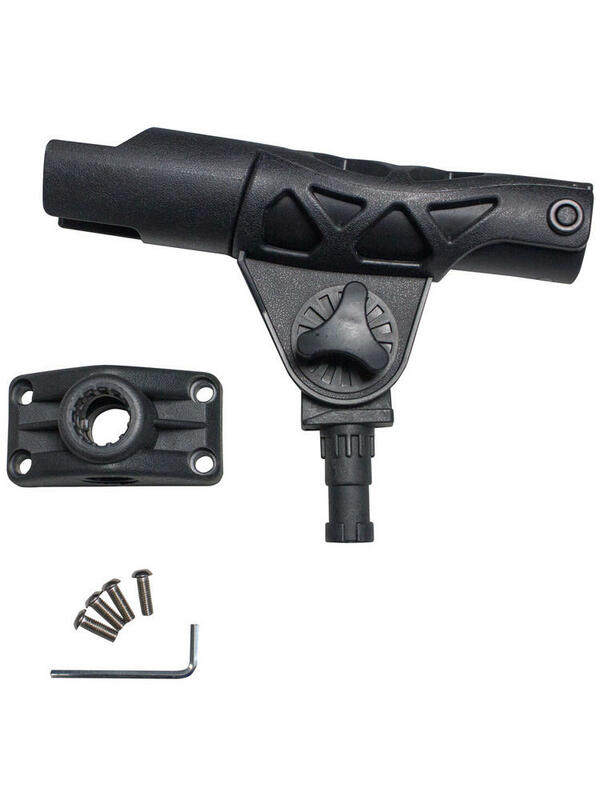 It is simple to fit with a highly adjustable angle. 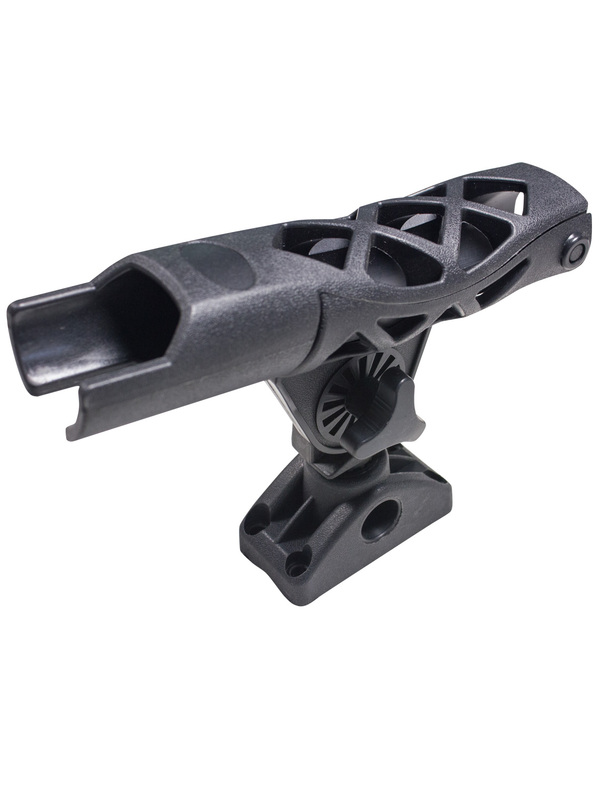 The GoSea Mounted Fishing Rod Holder with Ball Joint has a 21cm long x 4.5cm diameter tube with an 11cm long x 3cm diameter extension. Heavy duty construction makes this the perfect Fishing Rod Holder for any fishing trip!